As a Vantage Fee Protect client, we can provide access to contractor-related insurance products and services for your contractor clients, including Professional Indemnity, Public and Employers Liability insurances, IR35 contract reviews, and a number of other business insurances, via referral to Qdos Contractor. 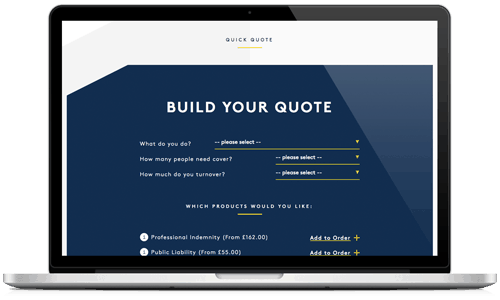 Your clients can easily access and purchase their insurances and contract reviews via our dedicated Qdos Contractor Webshop below, and, using your exclusive discount code, will achieve a reduced rate on their order. The Qdos Contractor Webshop is provided and administered by Qdos Contractor, a trading style of Qdos Broker & Underwriting Services Ltd. Please note that Qdos Broker & Underwriting Services Ltd is a separate business from Vantage Tax Fee Protection Ltd, and your clients will engage with them directly if they choose to purchase an insurance product or service from the Webshop. Further details regarding Qdos Contractor can be obtained by clicking here. As an additional benefit, Vantage Fee Protect clients get one free contract assessment for each Policy Period and access to further contract reviews at discounted rates. Vantage also partner with Tradesman Insurance provider, Rhino Trade Insurance. Rhino Trade Insurance Services are a UK based insurance broker that serves the self-employed tradesman community.